Gautham Karthik's Hara Hara Mahadevaki audio launch, which happened yesterday night (10th September) at Kalaivanar Arangam, was a fun-filled event. 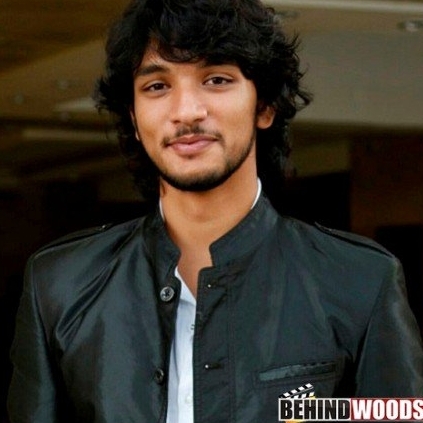 During the event, it was announced that HHMD's director Santhosh P Jayakumar would once again collaborate with Gautham Karthik for a film, which would be produced by K.E.Gnanavel Raja under Studio Green banner. Santhosh revealed that this film has been titled as 'Iruttu Araiyil Murattu Kuthu'. Going by that title, will it be another adult comedy entertainer once again from the HHMD combo? People looking for online information on Gautham Karthik, Hara Hara Mahadevaki, KE Gnanavel Raja will find this news story useful.